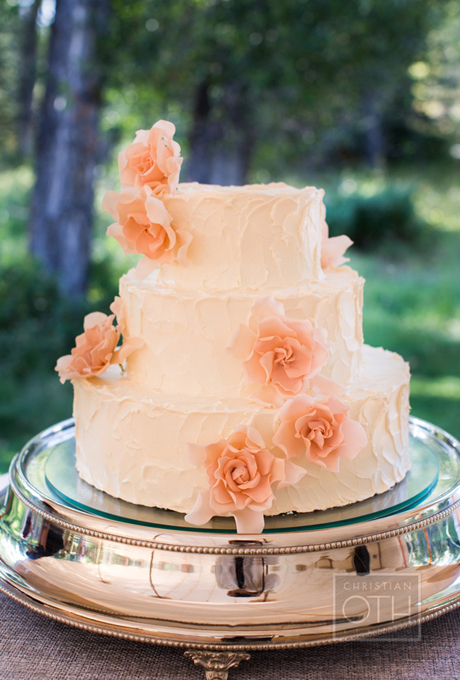 It’s that time of year again – time for outdoor wedding receptions. I love the idea of an outdoor reception. 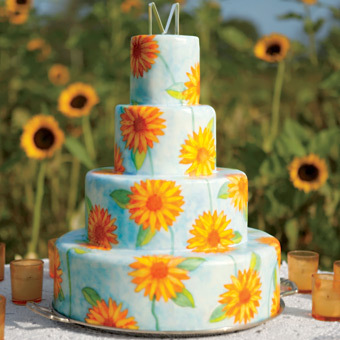 Sunflowers are my absolute favorite flower. Sure, I love roses as much as the next person but sunflowers are just so darn happy. It makes them really hard to resist. 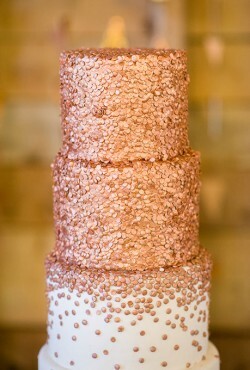 Right now I’m a huge fan of sprinkle wedding cakes! 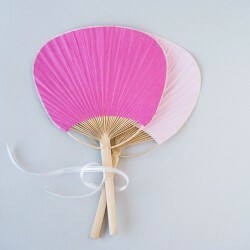 I think they’re fun and whimsical and perfect for a spring or summer wedding. And today’s cake? 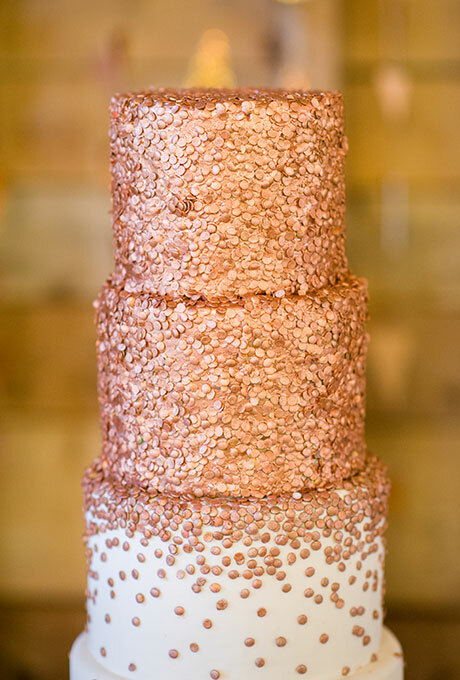 Well, it’s rose gold and sprinkles so it’s practically perfect. If there’s one thing I can’t ever find in my kitchen “utensil drawer” (it’s a thing, trust me) it’s a bottle opener. I mean I know we have one…I just can’t find it! Which is why I am loving this credit card sized bottle opener. I wasn’t always a fan of the color pink. It took becoming a mom to two girls to really bring me around to the many shades of pink. I love seeing different pinks used in wedding cakes – and it always reminds me of the line from ‘Steel Magnolias’ when Shelby says “My colors are blush and bashful” and her mother responds with “Your colors are pink and pink.” Cracks me up every time. Spring is the season of rainbows. All you need is a good rain shower and some sunshine and viola! You’ve got rainbows! 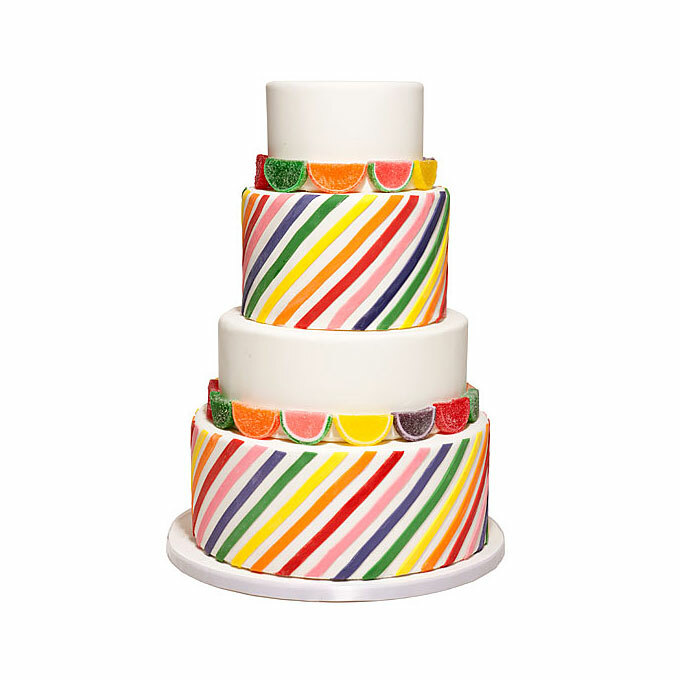 Of course spring is also the perfect season to incorporate rainbows into your wedding cake too. The weather has finally turned a corner for the better and that means warm summer temperatures are coming soon! 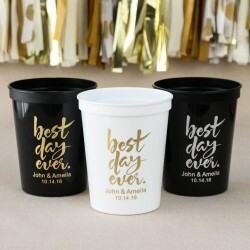 If you’re planning an outdoor wedding or reception (or both!) you’ll want to make sure your guests are staying cool as cucumbers. 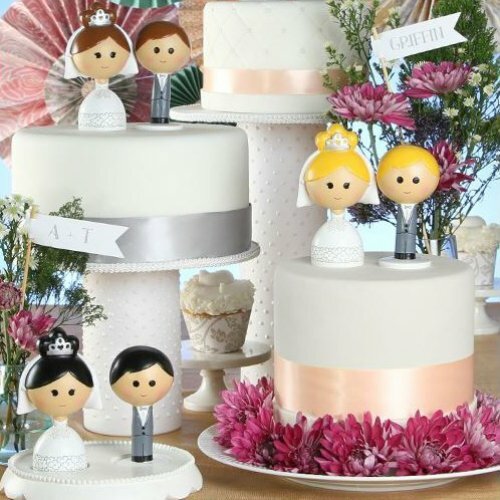 I’m a fan of fun and whimsical cake toppers. So when I saw these Kokeshi Figurine toppers I just had to share them! 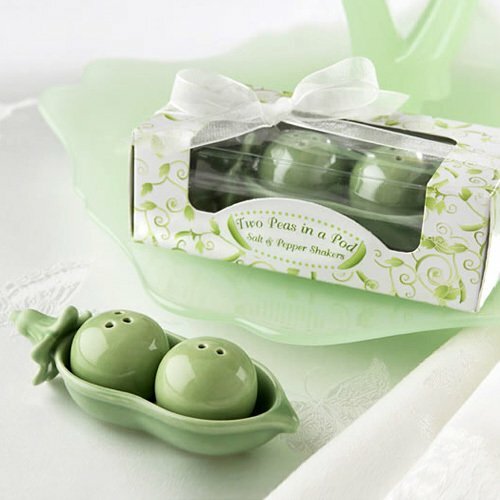 The figures are inspired by traditional Japanese Kokeshi hand-painted wooden dolls and they are so adorable! The bride and groom figures are available in four styles and ethnicities so you’ll be able to find the pair that best suits the happy couple. The figures are about 4 inches tall so they’ll fit on just about every cake and add a bit of fun flair to your big day. 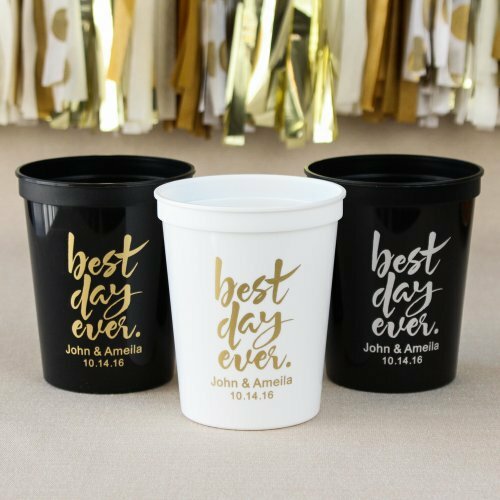 A word of caution to the budget-conscious couple – these cake toppers aren’t cheap. A set (2 figures) will cost close to $70. And the bases are an additional charge. But they’re so cute … how can you resist? 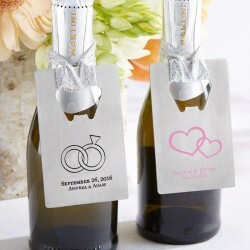 You’ll find these cake toppers here. 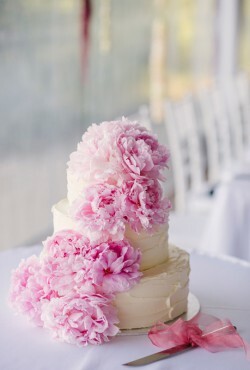 The more wedding cakes I look at the more I love seeing fresh pink flowers on cakes! I never used to enjoy the color pink but I have to admit it really is starting to grow on me.